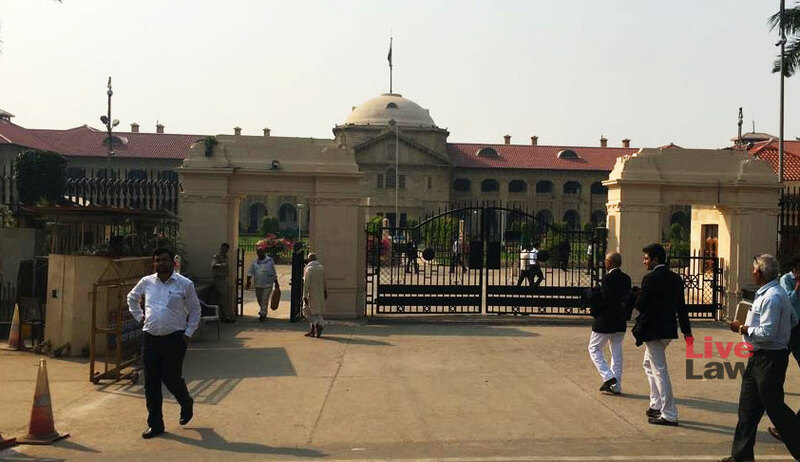 This week I got an opportunity to visit the legendary Allahabad High Court in connection with a case. The building from the outside stands majestic, neatly cured lawns, giant pillars, well representing the Victorian architecture. 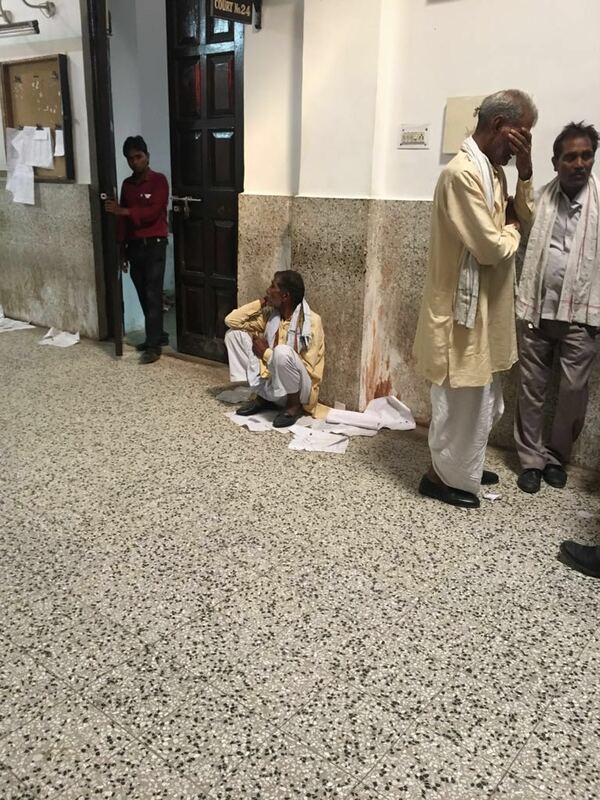 A closer look will tell you the frozen moments of time, filth and ugly shades, a reflection of present day judiciary. 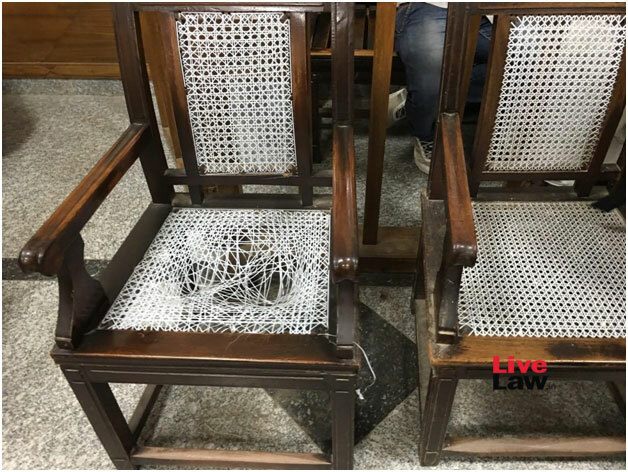 I spoke to many lawyers; all have good words about Justice Chandrachud. 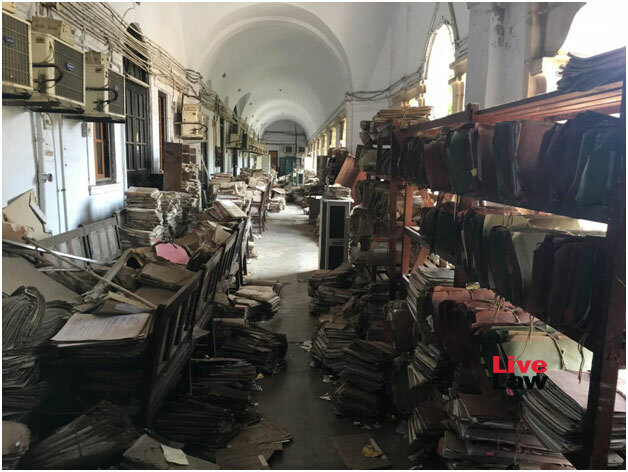 They said that he had brought many add-ons to the system – e courts, ladies’ bar rooms, a proper filing system, did away with illegal proxy affidavits and many more in the High Court and subordinate courts. All this description of improvements, made me wonder what the state of affairs would have been before his period. 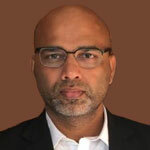 Mr. Vivek Mishra, a former member of the bar association and Adv. Abhishek who was former reporter with Umar Ujala, took me to every nook and corner of the grand building. 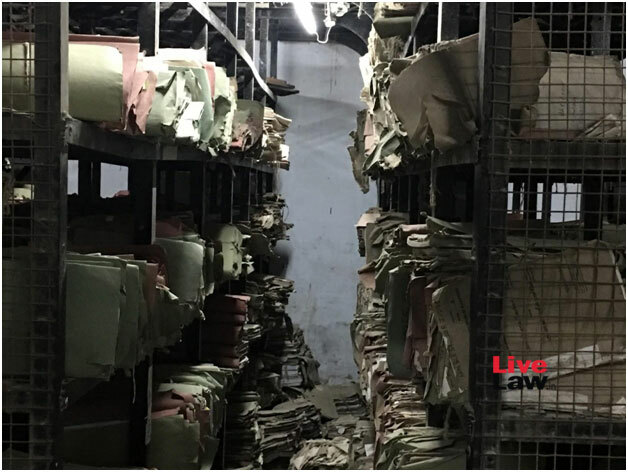 They were desperate at the state of affairs; they expressed that a master plan for holistic development with better infrastructure for courts, litigants and lawyers, particularly lady lawyers can alone save the system now. I was deeply moved by their concern for improving the justice delivery system. 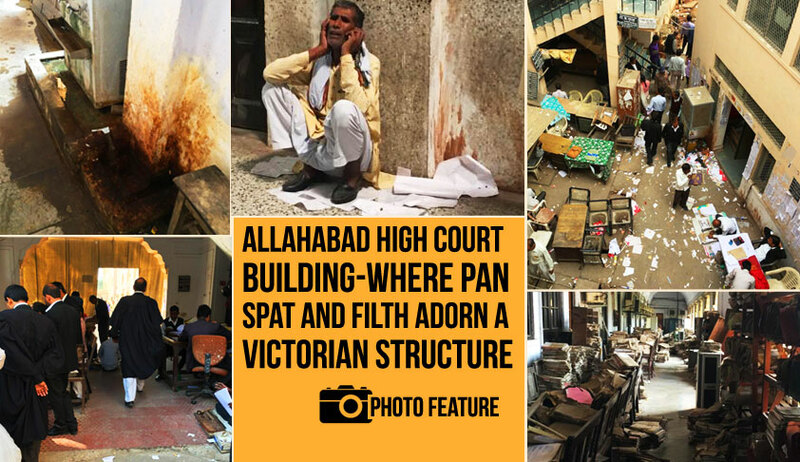 The court building has sunk in the sea of motor bikes and cars, the access to the court is marred by the big red paan-spots, and throws a pity picture of desperate clients and struggling lawyers. 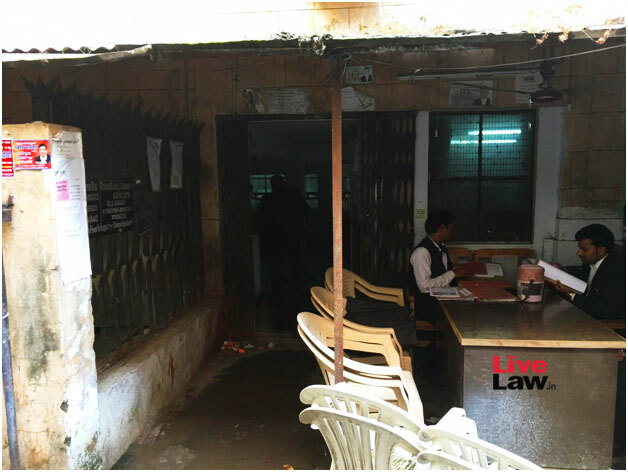 You would see small groups of lawyers sitting and chatting in front of small dhabas. The disparity in the profession is writ large, a typical Indian-ness, revealing a thriving miniscule minority and suffering majority. As you cross the newly built security gate and enter the court complex, there before you is the glaring justice delivery system in action. 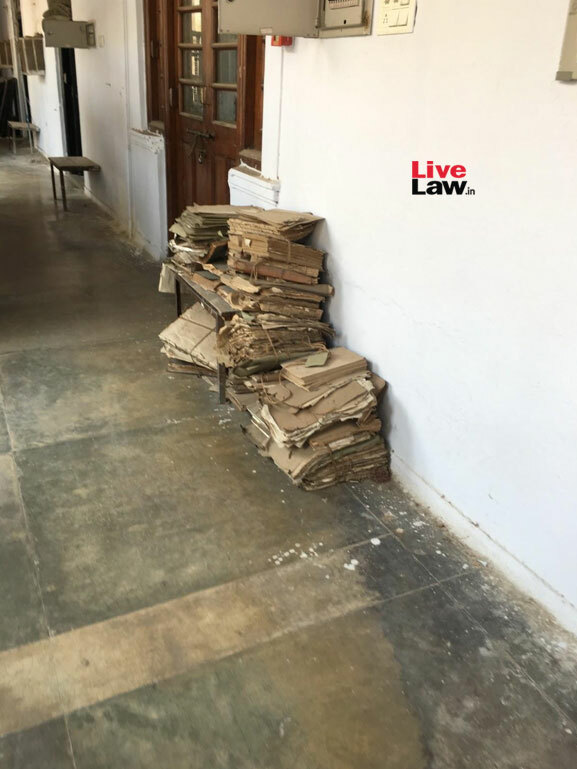 At the main entrance of the court, for lawyers, you can see the litter all over. The photocopiers and paper book-makers have occupied the main gate. 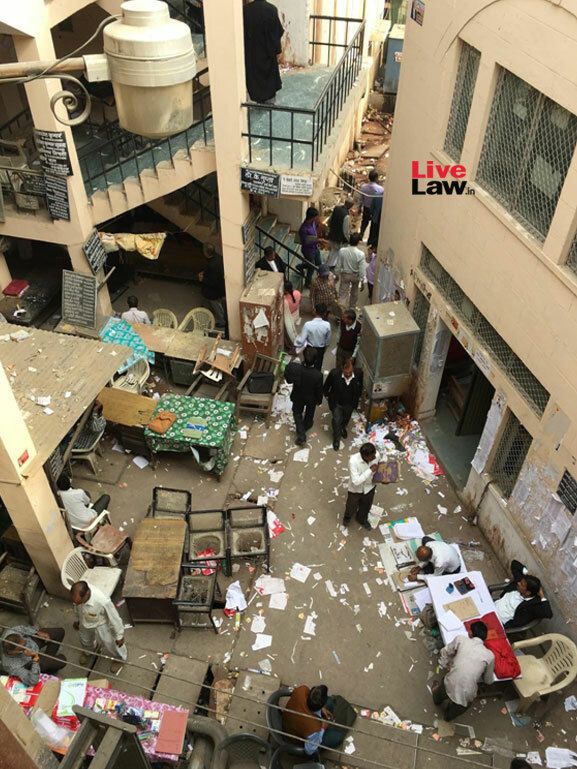 Few lawyers’ tables are also visible. 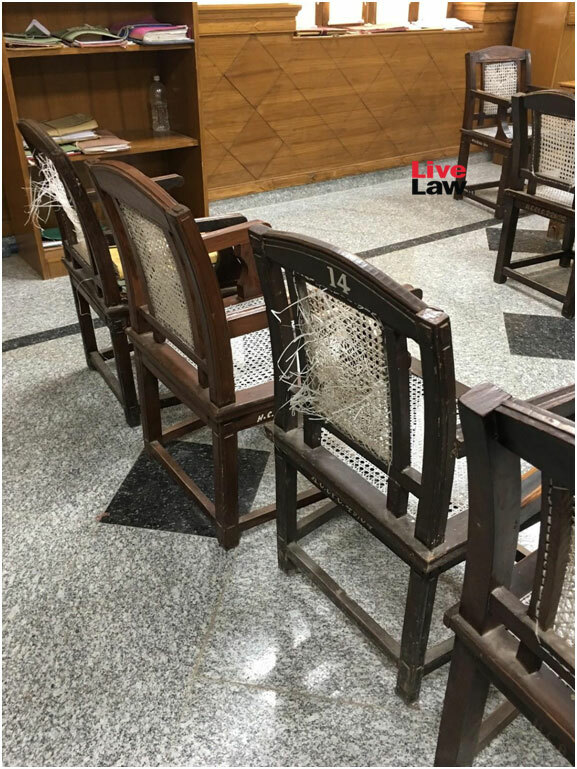 In Allahabad High Court, the lawyers mainly operate from their houses and the sitting area inside and outside court complex. A golden jubilee plaque, standing with all the dirt and dust since its installation welcomes you. The main display board inside the court - It seems there is no other storage space in the gigantic building. Drinking water dispenser is not saved from the pan art. 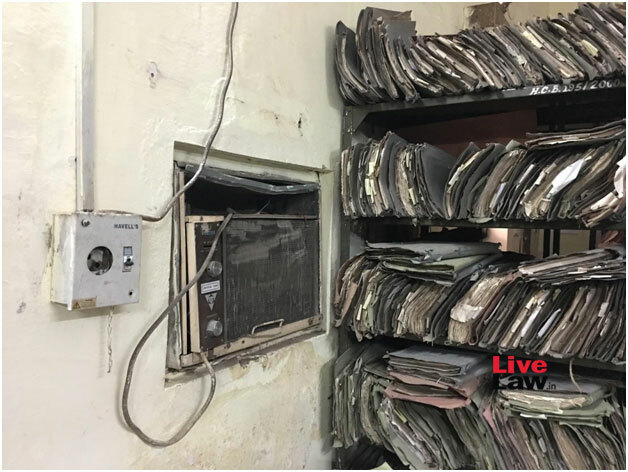 Few running files - Judges and court staff are prone to asthma. 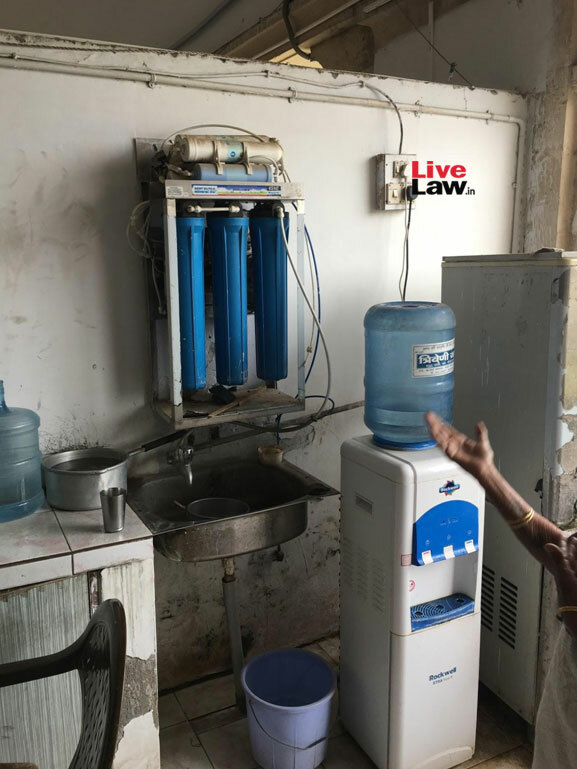 Behind ladies bar room, RO plant installed but not operational. 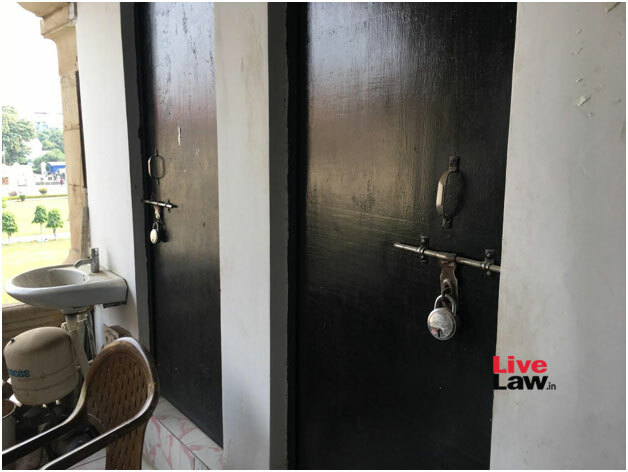 Ladies toilets, locked because of leakage, they need to travel the other end of the building for basic needs. The external splendor – is all that is relevant! 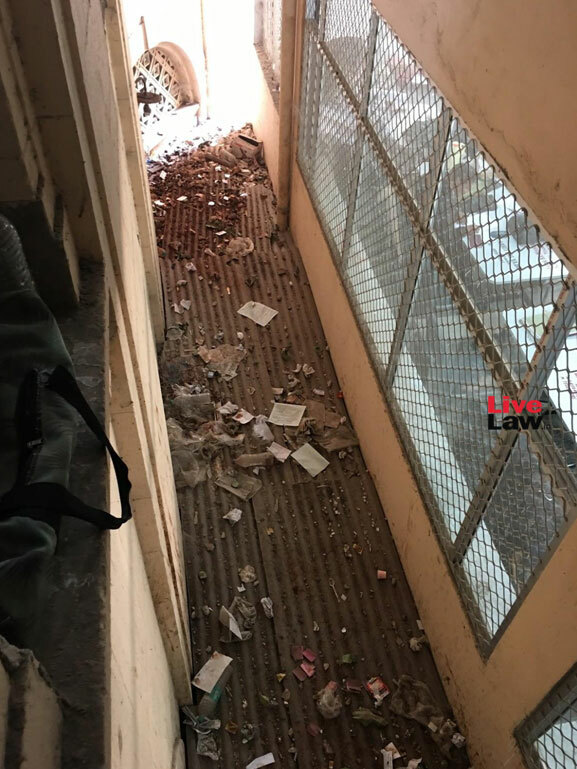 Most of the difficulties cited above can be remedied by spending a few Lakhs of Rupees for improvements and by appointing more cleaning staff. 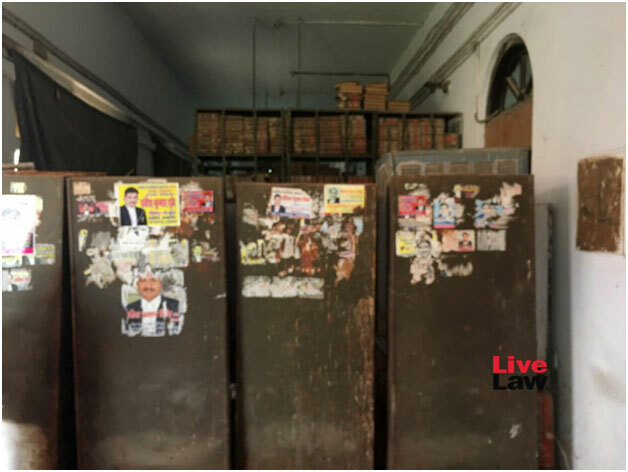 I was told that the Bar Association has taken few effective steps in setting up libraries, ladies' bar rooms etc. 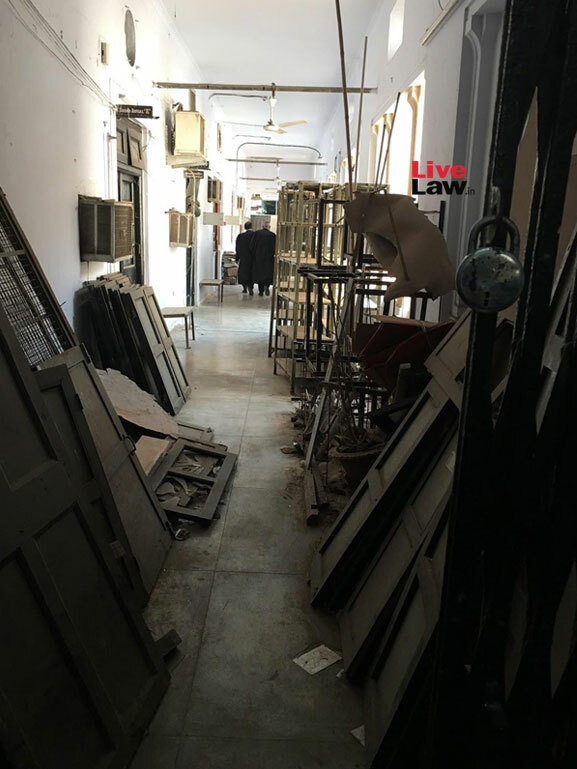 Association has been financially aided by few senior lawyers in renovating the library and canteen. 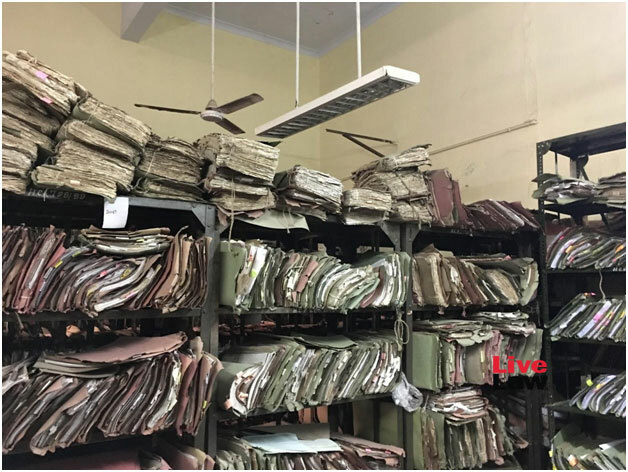 A lot more need to be done to make the space humane and professional for the six to seven thousand lawyers and for a corresponding number of litigants who frequent the court every day. 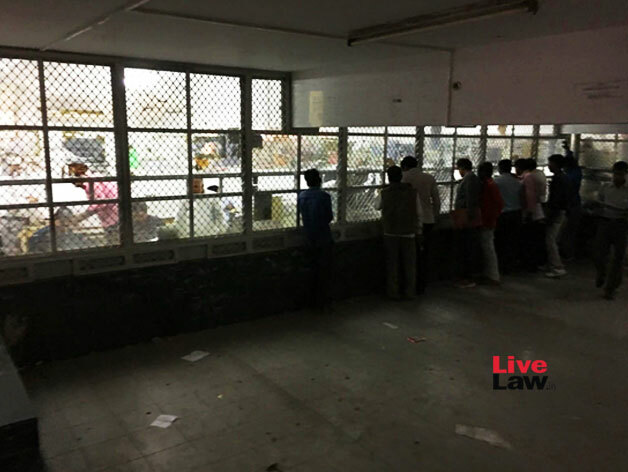 There are around 300 lady lawyers who visit the court every day, and for them there is hardly any facilities, be it wash rooms, sitting area or study space.